From its beginning Elijah Radio has operated on the philosophy that God has called us to preach His message over the air, not to spend time and resources fundraising. If God impresses you to give to support this work, then you can donate using one of the two options below. 2. Click on the PayPal button below to donate online. 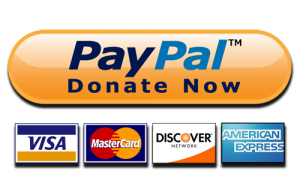 Each month your contribution will be transferred from your credit card or bank account (whatever you’ve set up in PayPal) to Elijah Radio. You can stop the contributions at any time by logging in to your PayPal account. Elijah Radio is a 501(c)3 corporation, so your donations are tax deductible. You will receive a tax receipt at the end of the year.